As more jobs are created in the ever growing IT field, the Twin Cities is in need of more talent. Closing this gap and diversifying the work force is core to our work. We do this by fostering talent within an underrepresented community to move toward an inclusive workforce based on equity and growth. 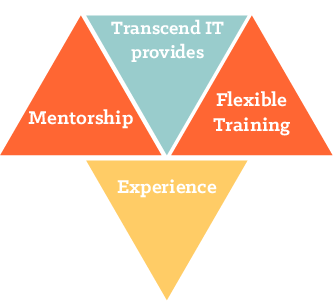 At no cost to our participants, we offer training, mentorship, and individualized job placement to address the skills and representation gap in the field of IT within the Twin Cities. We connect those who have been left out of the labor force with skills and support they need to join the rapidly growing field of Information Technology. Identifying the gap is the first step- Network and Computer Systems is a field within IT where the highest gender and racial underrepresentation exists. We focus to create a solution for this problem by addressing the consistent need for talent, and by increasing access to specialized training to those who lack representation in this space. As a field that supports a direct career advancement path, wages that provide economic security, and where know-how and on the job experience take priority - we are here to foster a new skilled work force.